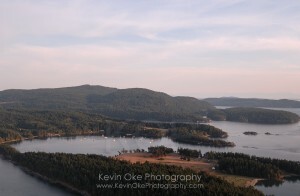 Saturna Island and the surrounding area is fortunate to contain many areas within the Gulf Islands National Park as nearly 50% of the island is protected by the National Park. Additional parks bring the total of protected areas close to 70%, truly a very impressive number. Accommodation is very limited so be sure to plan ahead. B&B’s and lodges are available with the only camping being available at Narvaez Bay or Cabbage Island off shore.